In different times in life, you may find as if you are completely off track. And you may feel alone. Because there’s often a feeling that you should have it together – because everyone around you does. But that’s not strictly true. A lot of the time, those around you may be feeling the same. And yet, you’d never even know it. So, you need to make sure that you’re not beating yourself up about it, and that you start to make a change. Because if you’re struggling to cope, you need to make a huge change so that you can get back on track. You deserve it! So if you really want to make a change in your life, here’s what you need to do. First of all, you need to step back. Because when you’re in the middle of your life, you’re never going to be able to see what’s wrong. So try to get out of your head for a while. Maybe go to a park or a beach or leave your city to think. Take a notebook. And just sit and identify where your issues lie. It can be tough to do this, but it’s important. If you can then start to identify your issues, you’ll be in the best possible position to change them. Now that you know what’s wrong and what’s making you unhappy and why you feel off track, you then need to work out what’s going to make you happy and feel back on track. So go back to the drawing board. Think about what you want to do with your life and what you need to do with your life to feel fulfilled. So from here, you’re going to want to make sure that you have your finances together. Because you’ll often need money to move forward. So get healthy. Think about debt settlement or growing your money. Think about what you need to do career-wise to get the money you need or to just feel fulfilled in general. It’s also a great time to think about what your passions are. Think about what you want to spend your time doing or what you want to do for a job. 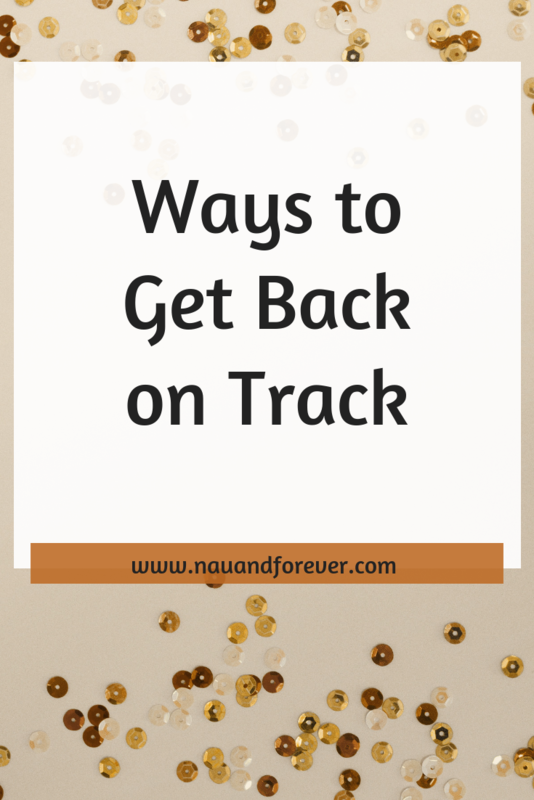 Just think about how you can bring your passion closer to you to feel much more on track. And finally, you’re always going to be able to get yourself back on track when you’re willing to work on yourself. Right now, you may feel as if you are on the right career path or in the right house or you never have enough money. And that can be tough. But if you start to focus on yourself and you’re able to grow as a person, it’s going to feed back into your ability to work on each area of your life. Because the happier and healthier you are, the better you will be at getting your life together.